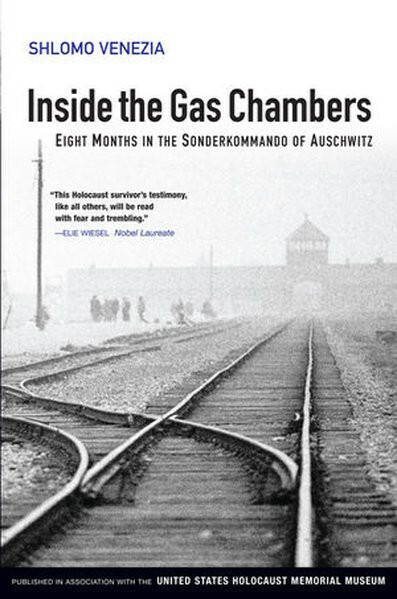 Produktinformationen "Inside the Gas Chambers"
This is a unique, eye-witness account of everyday life right at the heart of the Nazi extermination machine.Slomo Venezia was born into a poor Jewish-Italian community living in Thessaloniki, Greece. At first, the occupying Italians protected his family; but when the Germans invaded, the Venezias were deported to Auschwitz. His mother and sisters disappeared on arrival, and he learned, at first with disbelief, that they had almost certainly been gassed. Given the chance to earn a little extra bread, he agreed to become a 'Sonderkommando', without realising what this entailed. He soon found himself a member of the 'special unit' responsible for removing the corpses from the gas chambers and burning their bodies.Dispassionately, he details the grim round of daily tasks, evokes the terror inspired by the man in charge of the crematoria, 'Angel of Death' Otto Moll, and recounts the attempts made by some of the prisoners to escape, including the revolt of October 1944.It is usual to imagine that none of those who went into the gas chambers at Auschwitz ever emerged to tell their tale - but, as a member of a 'Sonderkommando', Shlomo Venezia was given this horrific privilege. He knew that, having witnessed the unspeakable, he in turn would probably be eliminated by the SS in case he ever told his tale. He survived: this is his story.